Many people like the idea of using Gmail as the default mail app on their iPhone or iPad, instead of Apple’s iOS Mail app. However, they quickly run into trouble when they go to share a link from Safari or a file from another app and find the default Mail app pops up instead of the Gmail app you want to use. Nobody wants to have the same email in two apps at once or deal with duplicate notifications, so is there another way? In a roundabout way, yes, there is. UPDATE: See How to Share Files, Photos & Links via Gmail on iOS for a cleaner, more recent, solution to this problem that Google fixed in an update to the Gmail app. The truth is, you can’t completely do away with the iOS Mail app for what I am about to show you. However, you also don’t have to use it to check your Gmail (or your Outlook, AOL, Yahoo! or other email services) in Apple’s default Mail app. Confused yet? Stick with me. You’ll see what I mean. 1. Start by going to Settings >Mail, Contacts and Calendars and add the Google account you want use for email. Your name, email and password is all you need. 2. Here’s the important bit. Once your account has been added and appears in Settings, look for the option just below it that says Fetch New Data. Tap that option and change the setting for Gmail from Fetch to Manual, (see image below). If you are looking for unique and innovative ways to use the iPad in your classroom, then you have come to the right place. In this post I teamed up with Stephen Lai and Meg Wilson to bring you 15 ideas that will help you think outside the box and bring new levels of creativity to your iPad classroom. With the Stage Interactive Whiteboard and Document Camera app, and the help of a dedicated, or DIY, mount you can easily use your iPad as a document camera. Better still, you can annotate over anything you set under the camera, and even record what you show. Got another $10? Make your own microscope attachment for up to x175 magnification! It is a great way to use iPads in the classroom. Quizlet is a completely free app that allows you to create flashcards for your students. Interactive games can also be done on the web. Project them over Airplay for a great review opportunity as a class! An optional Teacher account with extra features is available. Students can also practice individually at home for review for upcoming tests. You do not necessarily need the app, as it is a web-based service as well. Run it on your browser. One of my favorite new apps is the Doink green screen app. Recreate your favorite Sci-Fi movies or your own mini blockbuster with the aid of a green sheet and this innovative app. Film your scene in front of a green screen, then layer your background on top if it to create an awesome special effect! Export your video to the Camera Roll and it is ready to be edited further or combined with more clips in iMovie. You might also want to take a look at the Action Movie FX app. Play review games (with the aide of technology or without) and use special sound effects in your classroom using iPad apps such as the Game Show Sound Board. Younger students will love these special audio effects. What’s New in iWork for iCloud for Apple Classrooms? 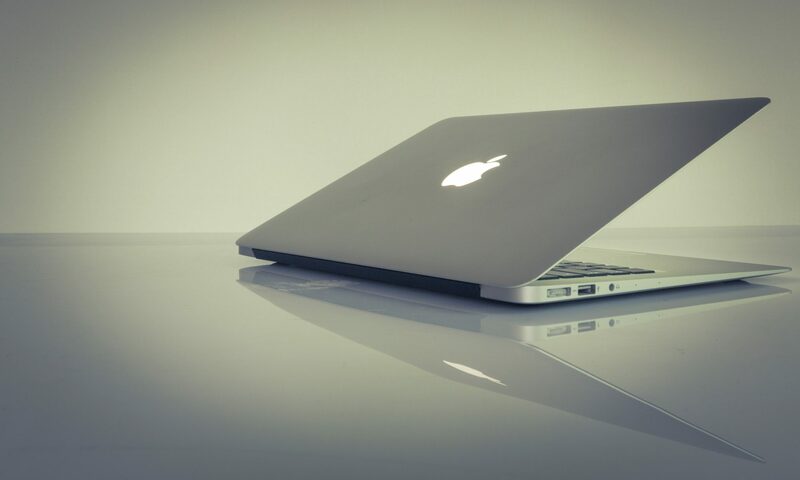 Hot on the heels of the recent updates to iOS versions of iWork and iLife, Apple have today announced some new features for their iWork for iCloud suite of online productivity tools. Recently I wrote about how educators could share and collaborate in iWork for iCloud, but as useful as this was, there were still some areas where you would hope for some improvement. Today, Apple addressed some of those issues. The biggest changes are in relation to collaboration on documents. You can now see who is collaborating on a document with you, and where they are in the document. You can also jump to where a collaborator is in the document by clicking on their name in the collaborator list. In addition, printing and folder support has been added. The Best Free K-12 iPad Apps You Might Never Have Heard Of! Looking for some new iPad apps to use in your classroom this year? New apps are released every week, but which ones are really worth your time? Which ones could truly push the boundaries of teaching and learning in your classroom? Sometime I am surprised at what apps people have not discovered yet, but often I am equally surprised at what I see other teachers using. So here is a quick rundown of the best free K-12 iPad apps you might never have heard of! Stage Interactive Whiteboard and Document Camera – While it may win the prize for the longest app title in the App Store, it is also a genuinely useful app that helps add yet another useful feature to your iPad. It turns it into a document camera, complete with annotation tools for your to mark up objects over a live view camera. The app is free, but there is an optional $1.99 in-app purchase if you would like to record your live session as a video. Tellagami – If you haven’t tried Tellagami yet, you have got to give this free app a try. It lets you create a Voki-esque talking avatar video. Videos are limited to 30 seconds, but are highly customizable. You can type the text for your audio and have it read by a voice of your choice, or use your own voice. Backgrounds, facial expressions, and gender can also be changed. Videos can be saved to the camera roll for use later in apps like iMovie. Our Story (for iPad) – This excellent digital storytelling app is simple to use and easy to achieve great results with. Created by the Open University, it allows you to add photos from your camera roll and add text and/or audio to them. It’s perfect for elementary teachers who are looking to introduce their students to digital storytelling for the first time. A good alternative app here is 30 Hands. ToDo K-2 Math Practice – With activities that are aligned with Common Core State Standards, ToDo Math may be a great option for early years teachers looking to help their student practice some basic math facts. Skills include counting, writing numerals, addition and subtraction, but it has some nice additional touches. For instance, at the end of each level, students are also asked as to whether the questions were too easy, just right, or too hard, and subsequent questions are then adjusted accordingly depending on how they answer. Thinglink – Welcome to the future of images, proclaim Thinglink, and I think they might be right! With Thinglink, you can add interactive elements to a picture. Web links, YouTube videos, camera roll videos, and text can all be hidden under hotspot targets on an image so that students can give multimedia description of their images. Showbie – Still struggling with getting student assignments from their iPad to yours? Revolutionize your iPad workflow with Showbie, a (mostly) free service that was built for just that purpose. It is slick, easy to manage, and works effortlessly. It’s the kind of app that Apple should have built for teachers a long time ago, but they didn’t. It can be used at all grade levels because students do not need an email address to sign up. TouchCast – With Thinglink, you add interactive elements over a picture. With TouchCast, you add interactive elements over a video! They are called vApps, or video apps, and include the likes of Twitter feeds, web pages, photos, news tickers, polls and more. 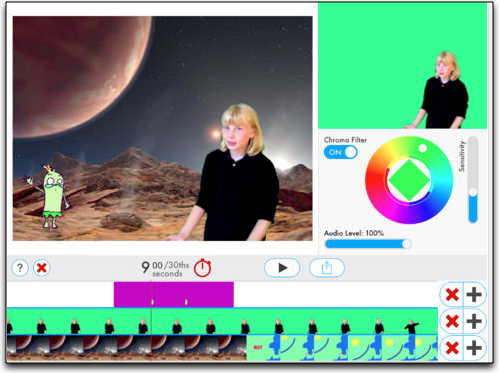 You can also add filters to your video or experiment with the green screen effect. TouchCasts are shared online. Duolingo – Looking to introduce a second language to your students? Duolingo might be a good place to start. This popular app starts with the basics, but soon has you translating more and more difficult texts. It might not replace Rosetta Stone yet, but it has a clean, fresh look, and includes gamification elements to boot. Most importantly, it makes learning fun. With Duolingo you can learn Spanish, French, German, Portuguese, Italian, and English. Moldiv – This photo collage editor may have in-app purchases, but it offers so much for free that you may as well forget that they are there. Choose from around 80 frame layouts for your photos, and add stylish fonts or labels to your collage. You can change the background color of your collage and even adjust the spacing, margins and roundness of your collage corners. Finished collages can be saved back to the camera roll or send to other apps for sharing or further edits. Cargo-bot – Interested in teaching your students about programming, but not sure where to start? Cargo-bot may be just what you need. The premise is simple. Move crates from one side of the screen to the other. The execution, however, is less simple. It starts off easy with some in-app prompts, but soon gets more complicated and requires you to think like a programmer to complete your task in hand. Alternative free programming apps include Hopscotch and Daisy the Dinosaur. Is your favorite on this list? Do you have an app which you like that most teachers don’t know about it? Feel free to share your comments below. Not an ADE Today? Carry On! Today, Apple contacted hundreds, if not thousands, of educators who applied for the North American Apple Distinguished Educator program. 75 were chosen to be a part of this elite group, but the majority were left disappointed, and face a two-year wait before they can try again. To those that were unsuccessful, I say take heart. You applied for the program because of a passion for learning, creativity, and innovation. You applied for this program because you were proud of your achievements in education. You applied for the program to challenge yourself and network with the best. None of that needs to change. Carry on. Being recognized as an Apple Distinguished Educator is high praise indeed, but even if I don’t know you personally, I’d wager that you were already distinguished and well regarded for what you do. I saw countless ADE videos that were shared by candidates on Twitter, and around the web, and each was as inspiring as the next. North America’s Got Talent! Our schools and colleges need this talent. Carry on. Your enthusiasm for teaching and technology will not wither overnight. The students and teachers you work with will continue to benefit from your knowledge and experience, and your stature in the education community will remain undiminished. You will still meet great educators that will challenge your thinking or inspire you to great heights, and the opportunity to share and showcase your talents will come again soon. Carry on. So, if like me, you did not get the answer you were hoping for today, know that education is still better because of you. Know that you still make a difference in the classroom. Know that your imagination and invention is valued, and revered. Carry on.